Good Morning Doodlebug Fans! Jomelle here today sharing my "Thankful for" challenge. What are you thankful for? I am so thankful for all the blessings in my life and I am always thankful for my family. I'm also very thankful to be part of the Doodlebug Team! I wanted to create a gratitude journal starting in the month of November. I made a cover for my Traveler's Notebook. I used the Flea Market Collection. 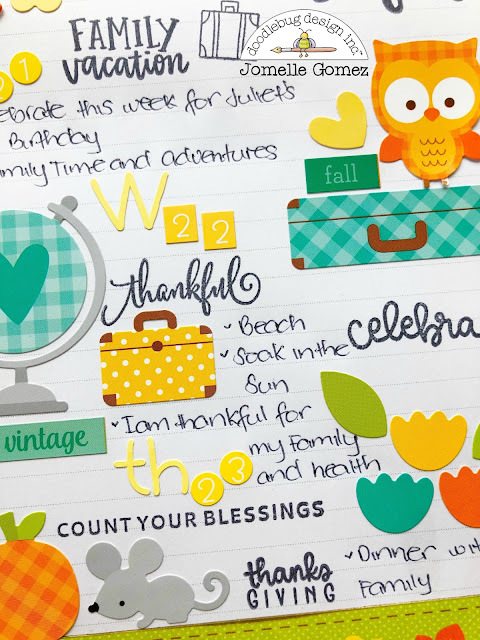 I wanted this journal to be all about what I'm thankful for. I used the wood design 12x12 cardstock for the background so that the embellishments will pop up. 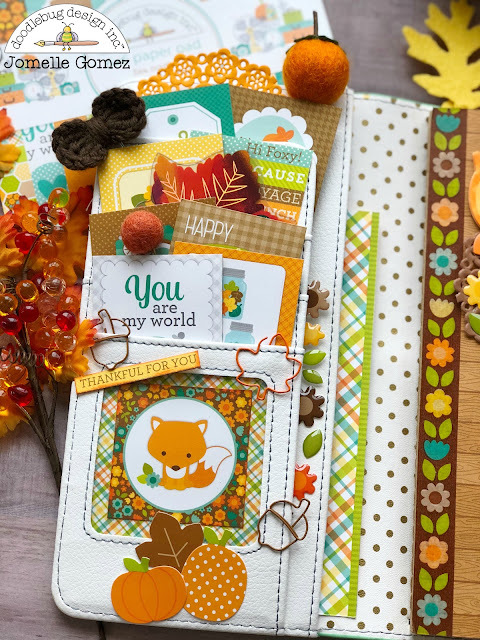 I am always thankful for having lots of pockets in my TN so I can decorate them. I love to just stare at all these goodies whenever I open my TN. 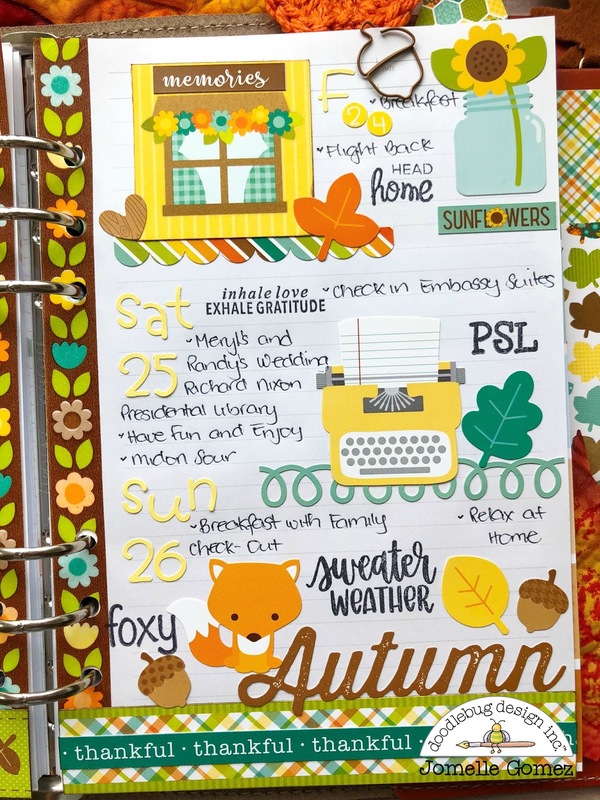 Here is my layout for Thanksgiving week. My family and I plan to go on a mini vacation on Thanksgiving week. Both of my boys are off school this week. We also wanted to celebrate my daughter Julie'ts 2nd birthday. Thank you for stopping by. Hope you enjoy Thanksgiving week with your family. These are sooooo cute!! I love this idea! 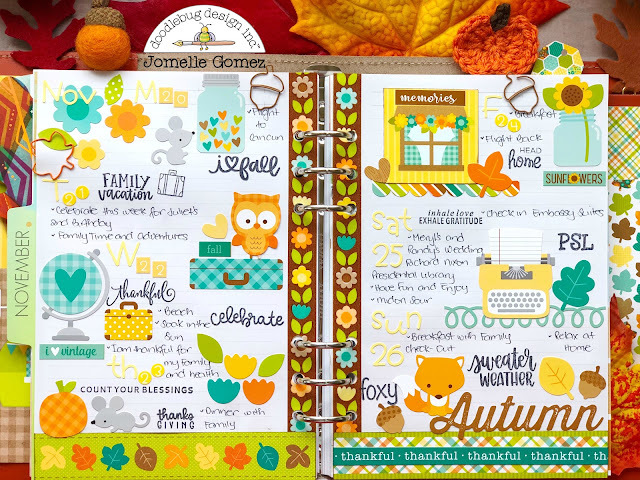 Such a beautiful planner spread! Oh my goodness !! That's soo adorable ! I am in LOVE with your planner spread! 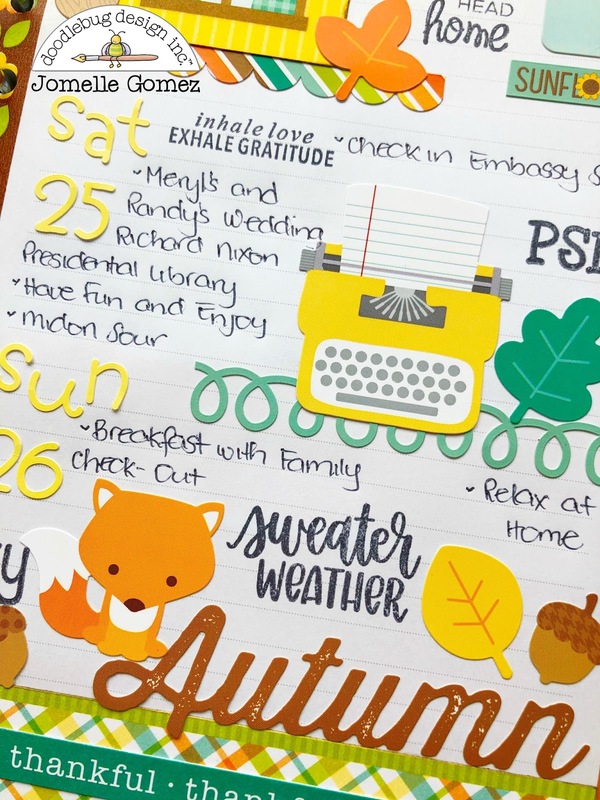 I have a planner and never put too much in it, and you have inspired me to go for it!!! 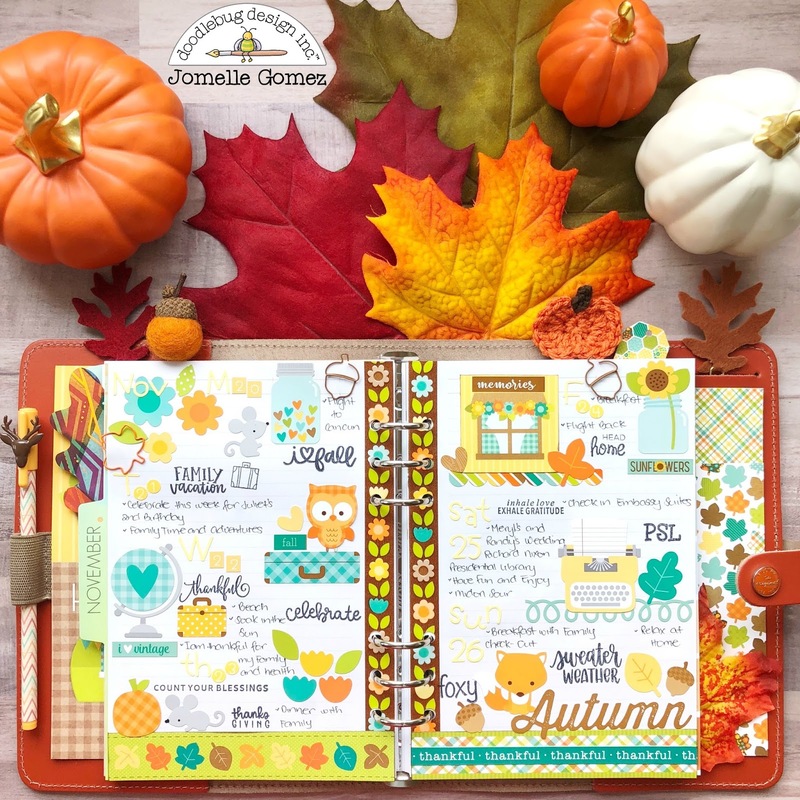 Cute planner layout Jomelle! Where are the stamps that used from? I love the sweater weather! Wow! So vibrant and beautiful! Love!!! 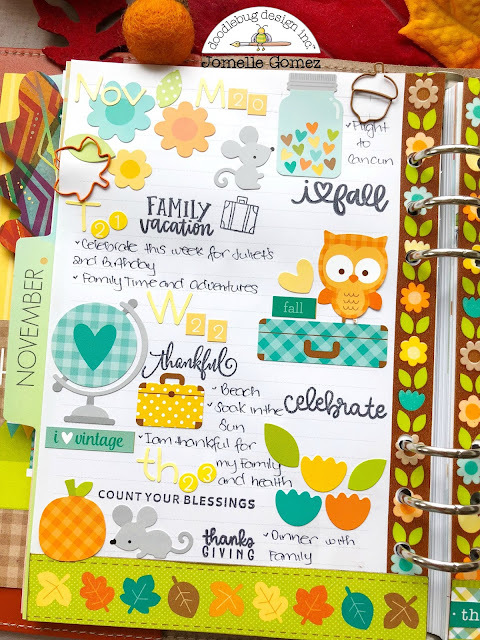 Your planners are always fabulous!